How do I set up Kinect 360 to do motion capture for MMD? Which Kinect do I need to work with MMD? What software do I need to connect Kinect to MMD? Can I use Windows 10 with the Kinect 360 for MMD motion capture? Ever wondered if you could use motion capture with MMD? With the Xbox 360 Kinect, that is possible! And I will show you how to set up your Kinect and get it to work on MMD using these steps. Set up Kinect 360 for motion capture for MMD! Which model of Kinect do I need? 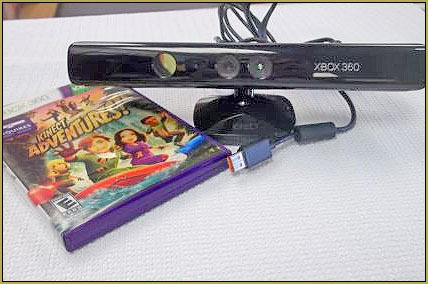 The Kinect model that will work on computers is this model: KinectLPF-00006 which is the Kinect Adventures one. Other models, including the Xbox One Kinect, do not work on MMD because there is no software compatibility. Microsoft does allow software for the Xbox One Kinect to install on your computer, but it doesn’t work with MMD. Windows 10 users CAN do motion capture with Kinect. See this video by Remington Graphics on YouTube. He is connecting his Kinect with Windows 10 so as to do motion capture into Blender. … LOTS of info there. So… how do I set up the Kinect 360? If you follow the basic Microsoft installation, https://www.microsoft.com/en-au/download/details.aspx?id=44561, the Kinect for Windows SDK which is the official installation, the Kinect will be installed on your computer… but that installation is not compatible with MMD! We will be installing the Kinect manually, in pieces, in a certain order… which can be tricky to do. If not installed correctly, the result can come with errors and won’t work. My method seems to be compatible only with Windows XP, Vista and 7 computers. Windows 8 and up seems to block the software and prevent you from using it a second time after you first successfully use it. 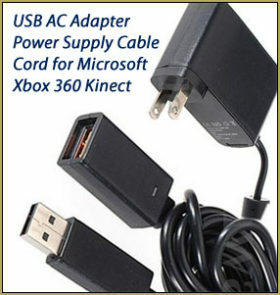 First of all, the plug on the Kinect cannot be used to plug it into the PC straight away, you will need to buy an adapter. I connected the power supply cable to the Kinect and plugged the USB connector into my computer, then plugged in the power supply. I live in Australia and so I needed to use an adapter to plug the AC unit into an outlet. Your computer will then recognize the Kinect and see the monitor and the sensor. It has audio, too, but that is not needed. Then your computer will say that these devices detected are not understood or recognized. In device manager, they will both have a yellow question mark next to them in the USB port section. Check if your Kinect is flashing a green light. If it is, that’s a good sign: it is working properly. If it isn’t, then check your connection again. You will need to download these software: make sure to install them in the order I show you to in my instructions. disconnect your USB adapter. Plug it in again… and right click on the monitor to update the driver, you will be given the option to look for the driver hardware on your computer, browse for the Sensor Kinect folder: go to “Platform” -> “Win32” folder and push “OK”, then it will start installing the drivers, do the same for the sensor. Now install OpenNI as normal. Then go back to the Sensor Kinect folder and go to the bin folder and install the SensorKinect093-Bin-Win32-v5.1.2.1.msi file. Now go to your program files in your C drive and find the folder OpenNI, then go to samples -> bin -> and delete the file NiUserTracker.exe. The purpose of this is so you can see your room when you use the Kinect in MMD. You don’t have to delete this if you don’t want to. 6. Now open the folder DxOpenNI and copy the files DxOpenNI.dll and SamplesConfig.xml and paste it into MMD’s data folder. Restart your computer so you can give it a fresh start-up before opening MMD. Now open MMD, enter a model in model mode, select all of your models bones, click on the motion capture tab and click on Kinect! Now let’s make motion capture easy! Make sure that you put your Kinect in a wide and open space with no furniture or rubbish around, 4 meters wide and long. That should be enough because if the Kinect cannot see your whole body, it will fail to capture parts it can’t see, so you need to make a very clear and empty space. The reason for this is that it automatically pinpoints where you are standing, so if it cannot see your feet, you will be walking in mid air. If you turn around, it cannot record that because it is only a single camera. It can only see what is in front of it… unlike professional motion capture which may use over 20 cameras from all angles to record turns. Use a nice lighted room, not too bright, not too dark… Kinect is a camera, after all. If you recall directing a normal camera to a bright lighted or dark area when you can’t see, it is the same for the Kinect. So if it is not capturing you properly, dim or light-up your room a little. When you click on the Kinect in the motion capture tab, another button will come up that will say “Start recording”, click on that and it will say 3, 2, 1 and it will start recording until you press the “stop recording” button. As you can see, in the bone/frame manipulation, it is all filled with dots which tells you that it records every single move and frame. That makes it difficult to edit! Kinect does not record interpolation curves into the newly recorded motion, so the movements may appear slower than your motions at the time of recording. HAVE FUN DOING MOTION CAPTURE with KINECT!!! Hello, if you want to use Kinect with MMD, don’t follow this tutorial : it’s way too complicated. PS : If you already had Kinect and/or the other softwares installed, there is no need for you to uninstall anything. On the other hand, you should use the MikuMikuDance folder put in the download link. If you were already using MMD, just take the Userfile folder content from your MMD version and put them in the new Userfile folder. Thank you for that! … Our old tutorial points out that you need Windows 7… are you using 10 or 7? i did all it said, and still cant read the DxOpenNI.dll, am i doing something wrong? I checked with Kazuki Matsuoka, author of that tutorial, she says: Those errors usually come up if you haven’t installed the software correctly, you have to uninstall the software and try again. If it appears again, give it a few days for the software to reel in before trying again. InitFromXmlFile failed: can’t create any node of the requested type! “load oni-file(O).” What does this mean exactly? P.S. I did it right. If not, please send me detailed instructions with images to know if I’m doing it right. i have a Xbox One Kinect is there still no software to make it work for mmd? programmed a modified dxopenni.dll for mmd which works with NI Mate (see https://www.youtube.com/watch?v=1UPZtS5LVvw and _readme.txt in zip archive: https://bowlroll.net/file/151427). It’s really simple and q&d but did work with my one kinect. So, can you make a tutorial or explain me in detail please ? (It show me “GetProcAddress: 126:Le module est introuvable. Um, you realize that you ask not even the article’s author, but a commenter who walked in here a half-year ago and had no reason to track the page for *this* long to see if anyone noticed his input, don’t you? Sorry, but there’s not that many people who are interested in Kinect *and* MMD *and* know how to work with them together. I wish you luck, of course, but better don’t get high hopes. I’ve seen all the model of kinect and i’m so confused that it’s look same each other. Does all the “KinectLPF-00006” are have a same model 1414? I’ve confirmed no… as I’ve seen model 1414 be LPF-00004, so basically its a complete gamble when ordering one online. The Adventure game doesnt mean anything either, as that can come shipping with different kinects too… so im not sure why thats even stated here lol..
“iPi can use a single kinect, but it will still not look as good as 3+ cameras or 2 Kinect’s because the more angles you get, the better it looks. I’ll always recommend 3+ cameras or 2 Kinects. I search nothing at all about 2 kinect with MMD. do you know how to captrue motion with 2 kinect +MMD ?